If you are in Angel and want to get away from the hustle and bustle of Upper Street, it is worth taking a stroll among its many back lanes, where numerous hidden gems can be found. 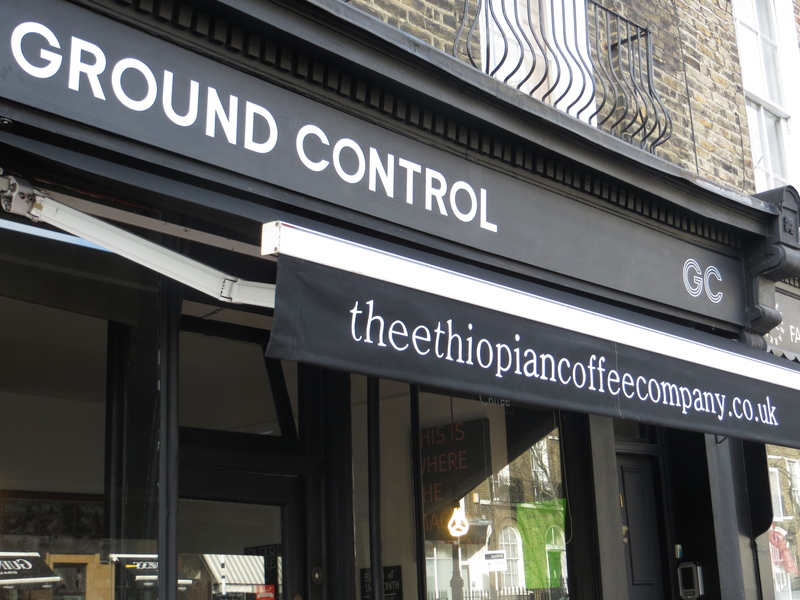 Whether it is pubs over looking the canal, the tree-lined streets around Liverpool Road, the deli’s and restaurants towards Exmouth Market and Farringdon or the shops and cafes of Amwell Street, where today’s cafe, the brilliantly titled Ground Control is situated. This tiny little cafe is part of the Ethiopia Coffee Company and serves an excellent brew using the Arabica beans from the Highlands of Ethiopia. The cappuccino was light and velvety, with a luxurious, chocolate fudge taste and a hint of nuts. It was a good size and perfect temperature, and at £2.50 a bargain. They have various Blends of the Month, with February’s being 60% Harrar, 20% Lekempti and 20% Bebaka. This is really a tiny little place. With just four tables inside and a few out the front, it could get a bit overbearing if full. However, when half full it was a relaxed, easy going place to sit, drink and chill. Daily papers were provide on each table, along with the excellent Caffeine magazine for the coffee lovers out there, and the large windows made the small space feel bright and airy. To fit in with the theme, there were a few African-style arts works and music playing, but nothing that overwhelms the cafe. As it is such a small venue, the food choices were limited. 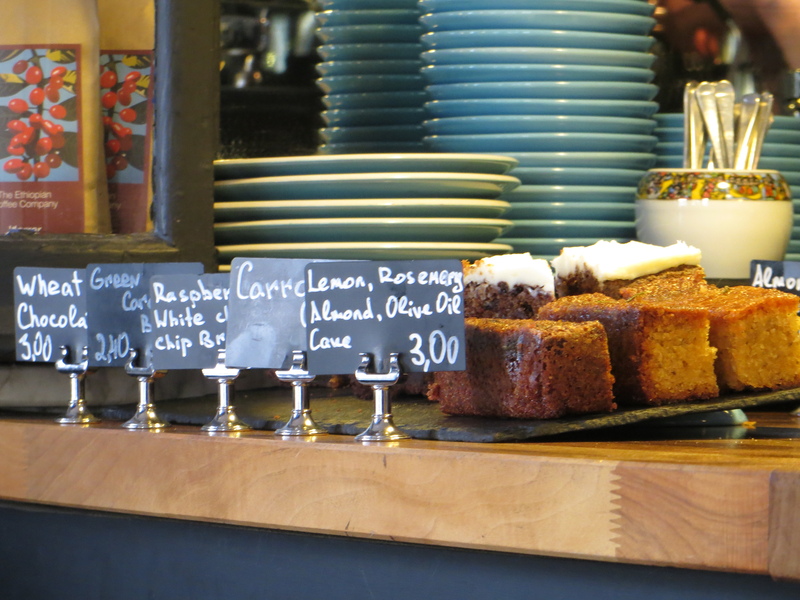 However, the cakes and baked goods were at least interesting with choices including Lemon, Rosemary, Almond and Olive Oil Cake. They also had a selection of sandwiches brought in by the Slow Bread Company. A single barista (it’s all you could seriously fit in the cafe) was all that was needed here. He seemed to know his stuff, was happy and welcoming and, most importantly, speedy. 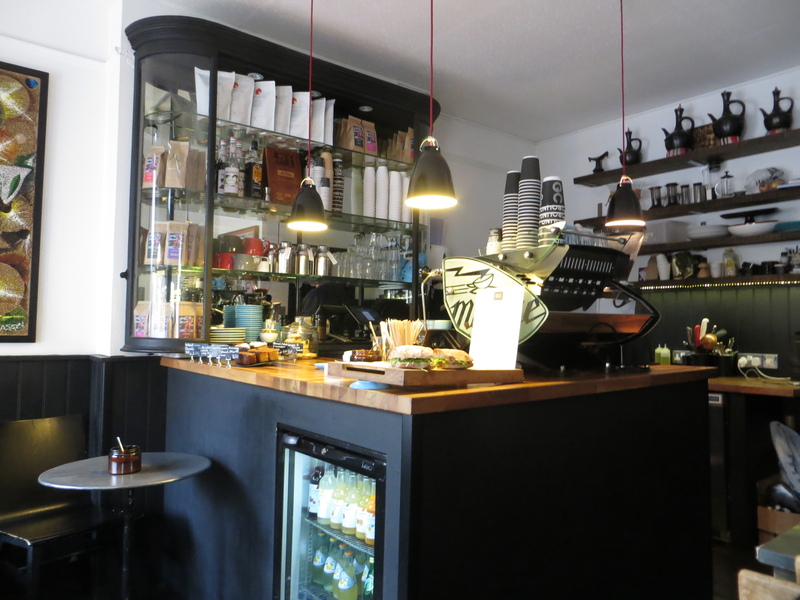 For such a small place it did offer a few extras including buying the brilliant coffee by the bag and offering a loyalty scheme through the London Coffee Network – but it really is limited by what it can do by its space. You could barely fit a guitar in here, never mind someone to play it. A great little find, with little being the key word. 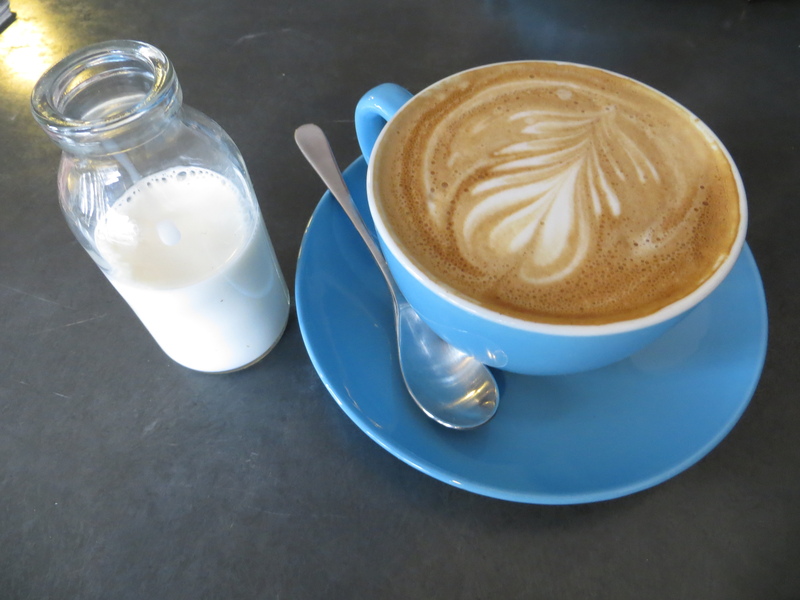 If you can get a seat, enjoy the atmosphere – if not, it’s worth getting a coffee to go.